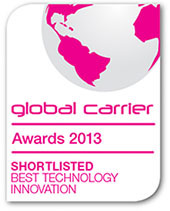 The recently introduced MiNID Ethernet Demarcation SFP Sleeve, part of RAD’s Service Assured Access solution, has been named a finalist for a prestigious Global Carrier Award in the “Best Technology Innovation” category. The shortlist was compiled by a panel of analysts, industry experts and the senior editorial team of Capacity magazine. The final winners will be announced at the Capacity Awards ceremony and gala dinner on November 19 in Amsterdam. In May, the MiNID won the NetEvents Innovation Award for the most innovative telecoms product of 2013. In that competition, the panel of judges was comprised of an independent body of ITC industry experts, including Dr. Robert Metcalfe, the inventor of Ethernet. A huge game changer for the industry, MiNID breaks through the barriers of cost and complexity, making it possible to finally deliver Carrier Ethernet services to everyone, everywhere, and speed up deployment in the process. MiNID’s design renders certification issues with multiple SFPs non-existent. So when a service provider, wholesale carrier or mobile operator plugs the finger-sized MiNID effortlessly into the SFP cage of any manufacturer’s switch, router, small cell, or DSLAM, it immediately upgrades them into carrier-grade Ethernet devices. In this way, they can increase revenue immediately by offering their customers premium SLA assurance with better fault isolation while lowering their total cost of ownership (TCO).